Cleveland Zoo new Vet Clinic (center), and interpretive panel critiquing - slovena national parks (right). Exhibits are one of the most expensive interpretive media we use, and yet one of the media that we often really don't know if "it works" after we pay for it. We judge exhibits by their appearance rather than by their success in accomplishing meaningful objectives. We like to ask - "if you spend $10,000.00 on your exhibits, how will you determine if you're receiving $10,000.00 in benefits from those exhibits?" 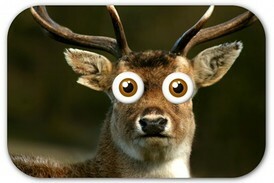 That's usually when I get the "deer in the headlights" stare. So it's the goal of this course to give you some simple tools for doing evaluations of, or critiquing existing exhibits. Some tools for critiquing existing exhibits - to see if they are accomplishing their objectives or may be in need of rehabilitation, and some tools for pre-post testing evaluation of exhibits first being designed (or mock-ups) to see if they are accomplishing their objectives prior to final construction so they can be "fixed" to be more effective. 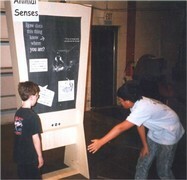 Unit One - What makes an interpretive exhibit "interpretive"? Unit Two - What do we evaluate? Unit Three - A review of some simple evaluation techniques - observation studies, auditing by an expert, survey research questionnaires and tools. 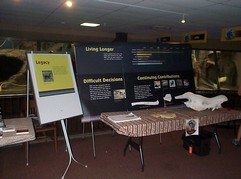 Unit Four - Evaluating an entire interpretive center exhibit room or museum exhibit gallery. Unit Five - Assessing and critiquing your current individual exhibits - what exhibits should stay, what should go, which exhibits just need some re-writing and simple updates. Unit Six - Evaluating existing outdoor interpretive exhibits and panels. Unit Seven - Evaluating new exhibits while in the design phase - the evaluation plan. Unit Eight - Conducting exhibit mock-ups pre and post testing evaluations. Unit Nine - Developing your evaluation strategy (questionnaires and observational studies). Unit Ten - Who to you survey? Target market evaluation focus. Unit Eleven - The problem of Negative Learning. Unit Twelve - The exhibit fails to accomplish its objectives - then what? Unit Thirteen - Cost effectiveness and cost-benefits of exhibit evaluations. Why do it? For our e-LIVE courses, all assignments from each unit will be sent to Prof. Veverka for reveiw and comments or coaching. You can talk with John whenever you need to by phone, SKYPE, or e-mail. 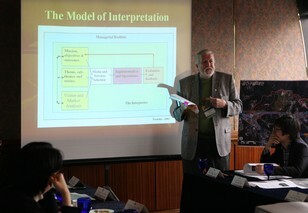 You can also work with John on evaluation of any of your existing exhibits as part of the course as well. John will be YOUR personal coach for this course. When will the course start? You can start this course at any time and work at your own pace. It is estimated that it will take about 20 hours to complete this course. The cost of the 20 hours of training is $200.00 USD, which can be paid for by credit card or PayPal. If you're interested in this course and would like to enroll in it - send an e-mail to John at: jvainterp@aol.com for a registration form. 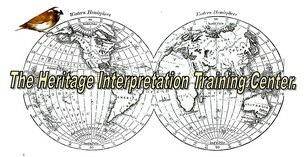 The tuition for this important training course is $200.00 USD which you can pay by clicking on the Pay Now button below. If you have any questions at all feel free to ask.